Opening Nights Performing Arts will host Manual Cinema in their performance of ADA/AVA in the Richard G. Fallon Theatre on Thursday, March 23rd at 7:30pm. General admission tickets are available to the public and student tickets are available to FSU, FAMU, and TCC students. 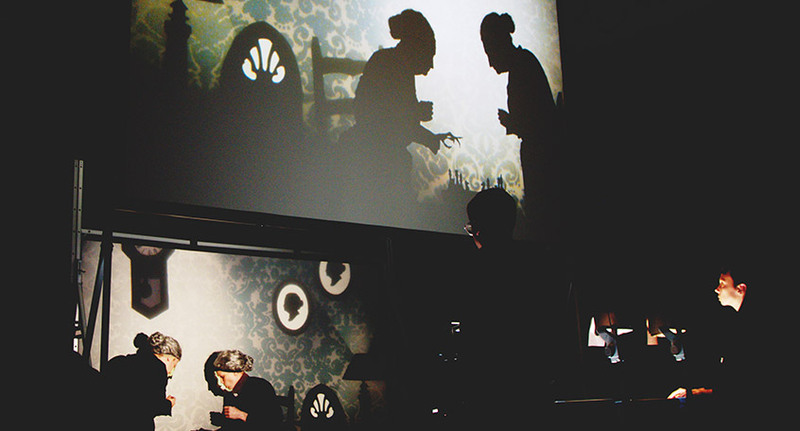 To date Manual Cinema has created three feature length live cinematic shadow puppet shows (Lula Del Ray, ADA/ AVA, Mementos Mori); a live cinematic contemporary dance show created for family audiences in collaboration with Hubbard Street Dance and the choreographer Robyn Mineko Williams (Mariko’s Magical Mix); two original site-specific installations (La Celestina, My Soul’s Shadow); an original adaptation of Hansel & Gretel created for the Belgian Royal Opera; music videos for Sony Masterworks, Gabriel Kahane, three time GRAMMY Award-winning eighth blackbird, and NYTimes Best Selling author Reif Larson; a live non-fiction piece for Pop-Up Magazine (SF); cinematic trailers; a short, self-produced film (CHICAGOLAND); a museum exhibit created in collaboration with the Chicago History Museum (The Secret Lives of Objects ) a collection of cinematic shorts in collaboration with poet Zachary Schomburg and string quartet Chicago Q Ensemble (FJORDS ); and live cinematic puppet adaptations of StoryCorps stories (Show & Tell). 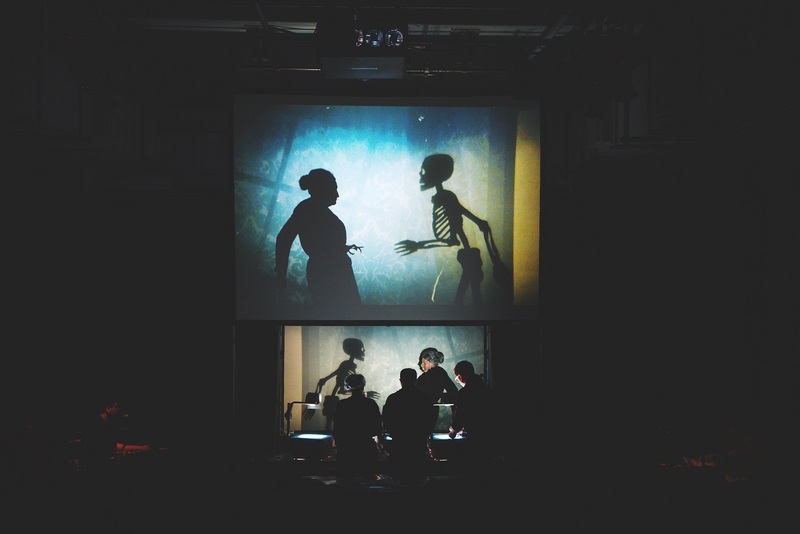 Manual Cinema’s work has been presented by the Metropolitan Museum of Art (NYC) The Tehran International Puppet Festival (Iran), La Monnaie-De Munt (Brussels) The Kennedy Center (DC), The Kimmel Center (Philadelphia), the Museum of Contemporary Art Chicago, the Noorderzon Festival (Netherlands), The O, Miami Poetry Festival, Davies Symphony Hall (SF), The Ace Hotel Theater (LA), Handmade Worlds Puppet Festival (Minneapolis), The Screenwriters’ Colony in Nantucket, The Detroit Institute of Art, The Future of Storytelling Conference (NYC), the NYC Fringe Festival, The Poetry Foundation (Chicago), the Chicago International Music and Movies Festival, the Puppeteers of America: Puppet Festival (R)evolution, and elsewhere around the world. Currently, Manual Cinema is developing an original, immersive adaptation of Peter Pan with Randy Weiner (Sleep No More, The Donkey Show, Queen of the Night) that will premiere in an open ended run in Beijing in Fall 2016. The company has begun work on a similar adaptation of Little Prince that will premiere in an open ended run in Shanghai in late 2017. In early 2017 they will premiere their latest feature length, cinematic shadow puppetry show based on Edith Nesbit’s novel Magic City. This summer they will begin production on a second, self-produced short film based on Virginia Woolf’s The Haunted House to premiere in late 2017. They’ll also create a live performed companion piece to the film that will premiere in October 2017 as part of the Chicago Symphony Orchestra’s MusicNOW series. Manual Cinema’s ADA/AVA will receive its European premiere with daily performances at the Underbelly’s Topside August 3-29, 2016. Opening Nights Performing Arts at Florida State University aims to engage our university, local, and global communities in creative experiences.